From print ads to websites, it is effective copy that is going to get your business noticed – so why would you trust the job to just anyone? At Beyond Spots & Dots, we have the knowledge and experience to clearly convey your message through catchy, well-written copy. When writing copy, we do more than put words on a page; we work to tell a story. We carefully analyze the context and target audience of the copy, then translate your message appropriately. At Beyond Spots & Dots, we really do believe that content is king, so we want yours to not only capture, but captivate, your target audience. Study your target demographic - Identify your audience and what their needs are to focus your messaging. Use jargon and tone appropriate for your audience - To keep audiences interested, it’s essential to speak their language. Are they more technical-minded or average, every day consumers? Relate through language. Customize copy for the communication medium - Beyond speaking to your audience in understandable language, your message must fit the standards of different media, i.e. brief and action-inducing for commercials or in-depth and informative for web articles. Keep the message clear and concise - Even if the message is a detailed one, it should be easily understood and as direct as possible. We’ll develop a TV commercial concept incorporating various elements, from spoken voiceover and onscreen dialogue to text captions. Radio commercials reach countless consumers each day, so we’ll create a script for your ad inclusive of voiceover and dialogue. Got some news to share? We’ll send it to the masses via an engaging, thoughtfully-written press release so that media outlets can use it and spread your news more widely. Your website is a reflection of your brand’s personality and capabilities. Beyond Spots & Dots’ copywriters will develop content in line with who you are as a business that will keep your audience coming back for more. Consumers check their email every day for communication with friends, family and companies they care about. Our team will reach your most loyal customers with subscription-based messages about promotions, major company news and more. 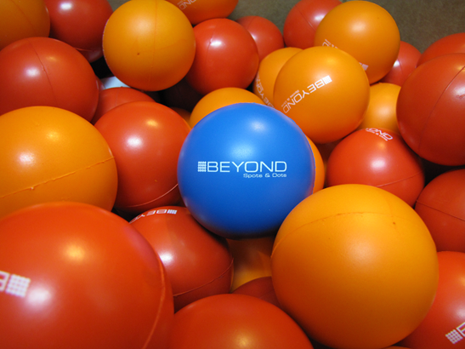 If you’re at an event, you probably want to have a standout table display. Our copywriters will develop memorable content for the tabletop ads that highlight your products. As an extension of your business, a brochure is another means to explain what you do and how you’re unique. 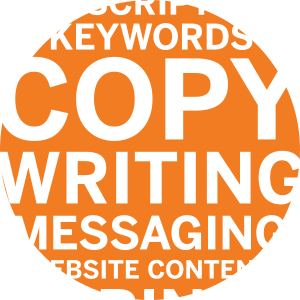 Copywriters will craft detailed copy to include in the brochures you hand out to potential customers and use at your industry events. Want a go-to resource for customers to get the most essential information about you? We’ll write a one sheet that sums up your business.